Whether you are buying or selling real estate in southern Oregon, I am happy to help with all of your real estate needs. To invest in a property is an important decision, so let me help you with your next move and capture the wonderful community essence that southern Oregon has to offer! It's a great time to buy real estate because interest rates are currently low. In this website you can access My Listings as well as an extensive list of properties that I can represent for you by selecting "Search MLS" section. 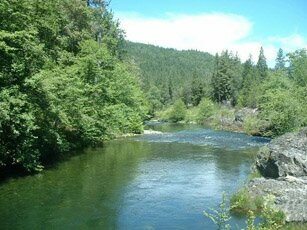 As a long time, experienced real estate broker, I service Grants Pass, Medford, Ashland and all surrounding areas of Josephine and Jackson counties. Need to Rent A Home? We provide a full service property Management service with over 20 years experience with managing properties. See our "House Rentals" section for more details on renting or listing your rental. I have lived here since 2000 and came here to escape the hustle of California. I wanted that small town feel with less traffic and better weather with change of seasons. I am living the Oregon Dream, which means farm animals, gardening, and meeting new people. My profession is so enjoyable, it lets me help people find what they are looking for. If they want someone who will give them an honest opinion and hard work then they should contact me. I am very down to earth and believe in informing my people so they can then make an informed decision. I have a saying in my office,” I work for you not my pocketbook.” Lynn Bartlett.